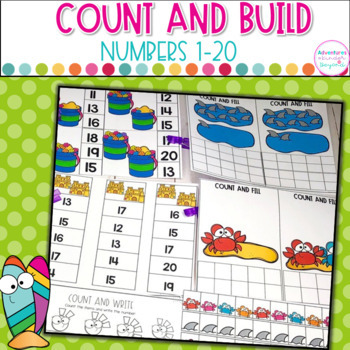 Summer count and build cards are great for students to practice counting and building numbers 1 through 20 all summer long. 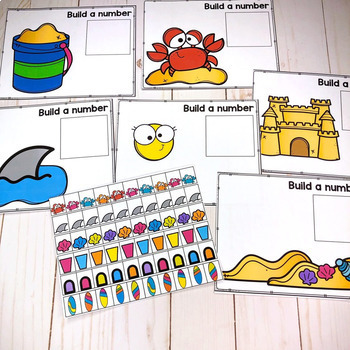 This resource will provide your students with engaging, interactive, and hands-on activities to practice counting, number recognition, and one-to-one correspondence. These summer count, build and clip cards can be used all season long. ♦Clip Cards- Students count the images and clip the number that matches. This activity is a great way to help with fine motor skills too! ♦Response Sheets- 6 sheets for students to count and write the number that is shown. 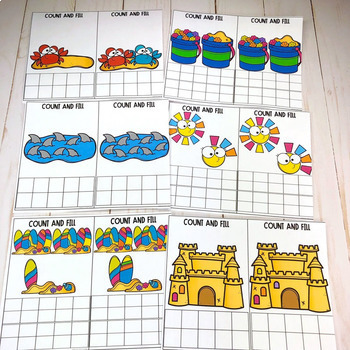 These build and count cards can be used in a small group, math centers, interventions, fast finishers or morning work. 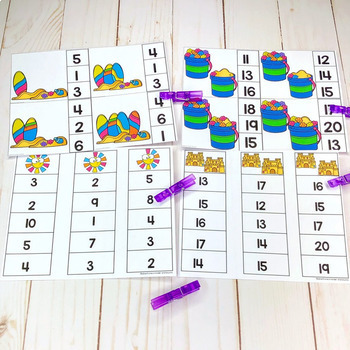 They will help students develop counting and number recognition skills to 20, one-to-one correspondence, concepts of equal sets, and more and less. Also, by covering the numbers picture groupings can be used for subitizing practice. Take a look at the preview to see everything that is included. •Please go to your My Purchases page (you may need to login). Beside each purchase you'll see a Provide Feedback button. Simply click it and you will be taken to a page where you can give a quick rating and leave a short comment about the product. Each time you give feedback, TPT gives you feedback credits that you use to lower the cost of your future purchases. I value your feedback greatly as it helps me determine which products are most valuable for your classroom so I can create more for you. •Look for the green star next to my store logo and click it to become a follower. Voila! You will now receive email updates about this store.